Bring out your inner Goddess! 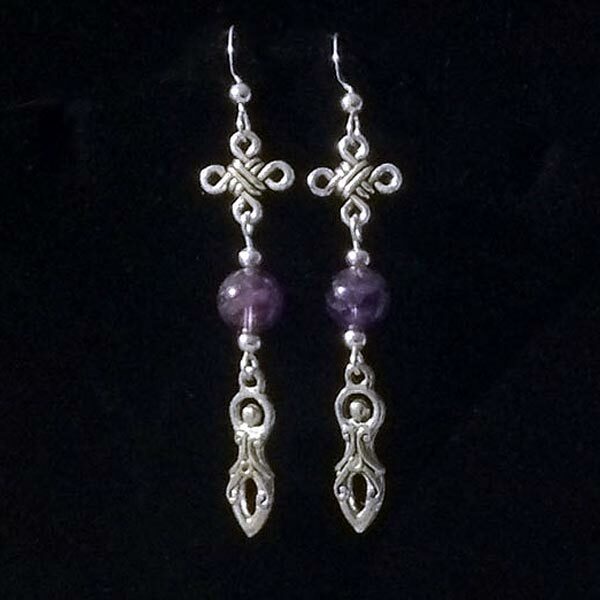 Intricately patterned Goddesses with 8mm gemstone beads dangle beneath Quaternary Celtic Knots (symbolizes the four directions: North, South, East, West). Available in several gemstones. Sterling ear wires and beads, ear nuts included. Charms are fine pewter (no nickel or lead).